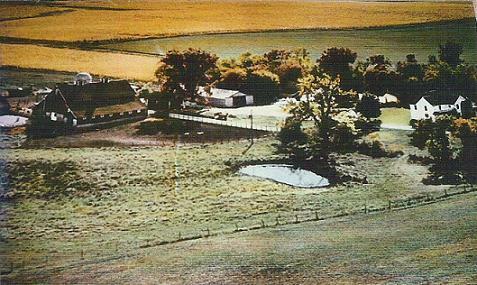 HW (Herman Wilhelm) and Elizabeth Mankell (my great-great-grandparents) settled the Mankell homestead in the Norway Lake area of Kandiyohi County, Minnesota, in the 1802. In these web pages we will look back at HW's ancestors and forward to HW and Elizabeth's descendants. Because HW's grandfather and uncles were famous musicians, much has been written about the family. This study of the Mankell family (American pronunciation rhymes with 'ankle') will also include information of other families who joined the Mankells by marriage: Swenson, Hjelle, Christopherson, Jordin and Johnson. As we move from our past to our present you will meet people from a variety of professions: organist, composer, artist, piano-maker, farmer, soldier, novelist, carpenter, insurance salesman, homemaker, politician, historian, minister, teacher. And you will read about the lives of original settlers of Kandiyohi County who lived on the American frontier and were witnesses to the 1862 Dakota War (Sioux Uprising) in Minnesota. These narrative pages will include photographs, local history, genealogy, stories, and even a scandal in 1814 Denmark. The Mankell history will take the reader to Germany, Denmark and Sweden; the Hjelle, Christopherson and Swenson histories, to Norway; the Jordin family history, to Sweden. These pages are not yet complete (family histories are never completely finished!). Please return to this website because these pages will be updated with new information. I am deeply grateful to several people who compiled information and documented historic events over the course of many years. Norwegian settler Gabriel Stene, a neighbor of HW and Elizabeth, had the foresight in the 1920s to write articles in the Willmar Weekly Tribune about the pioneer settlers of Kandiyohi County. Bo Lindbergh and Gustav Ivar Mankell live near Stockholm and have shared information about the Mankells in Sweden. Margarete (Mankel) Semus offered gracious hospitality and provided information about Mankel relatives in Niederasphe Germany. Richard Lindahl wrote a 2003 history of the Swenson family; in 1993 Jane Hauser Pejsa wrote a history of her grandparents, Hans and Hulda (Mankell) Melgaard. Rune Wiik gave us a tour of the Holter area of Norway; the Hjelstuen family showed us the Fåvang area of Norway. Many relatives shared their stories and answered questions. Acknowledgments and gratitude would not be complete without mentioning the work of my father, Orlynn Mankell. For many years he maintained and expanded numerous files on the Mankell, Swenson, Christopherson and Hjelle families. One of his joys was to travel to Norway and Germany in 1995 to see where his ancestors had lived and worked and to meet relatives. Dad wasn't alone in his endeavor to preserve family history. My mother, Vivian Jordin Mankell also maintained genealogical information about her Jordin and Johnson roots. I also want to thank my brother, Kurt Mankell, who has provided many of the photographs and much of the information in these pages. Sven and Margit Borgen from Norway to Arctander Township. Includes Dakota War of 1862 information. The Norway Lake Colony in Four Essays from "Stepping Stones", a First Lutheran Church newsletter (written 1983-1984) which tell the immigrant settlers' stories about worship, Pr Andrew Jackson, the impact of the Dakota War; the development of the first Norway Lake congregations, 1860s-1880s. Maps marking ancestral homes in Europe. Plat Maps of Lake Andrew Township and surrounding areas: 1874, 1886, and 1905. Also current maps of Minnesota and Kandiyohi county.